OpSoc incorporates the University of Southampton Optical Society of America (OSA) Student Chapter, and the University of Southampton SPIE Student Chapter. It has an academic, educational and social vocation., and shows its commitment towards these goals by promoting and running a series of activities and events which involve the whole graduate members’ community. As the student society of the ORC and related groups, OpSoc has an extensive social calendar, including sport events, pub crawls, barbecues, formals, quizzes, International Food Days and the fortnightly Coffee and Cake Club, which enhance the social aspect of the PhD experience. Our Lightwave outreach programme, run predominantly by students, takes science out into primary and secondary schools in the Southampton area and beyond, as well as public fairs. 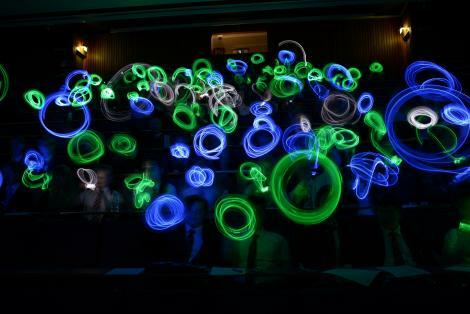 The roadshow is taken to schools and clubs in the Southampton area and the south coast, presenting scientific phenomena to primary and secondary school students.The show aims to teach children about all aspects of light.